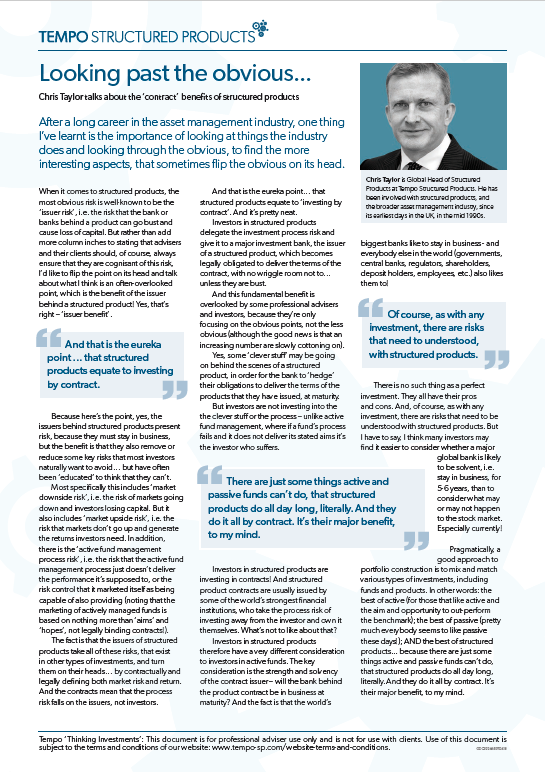 As a business, before we think and talk about products, we carefully consider both the economic and investment backdrop and outlook and investors’ interests and needs – and how these are being met by the asset management and wealth management industry. 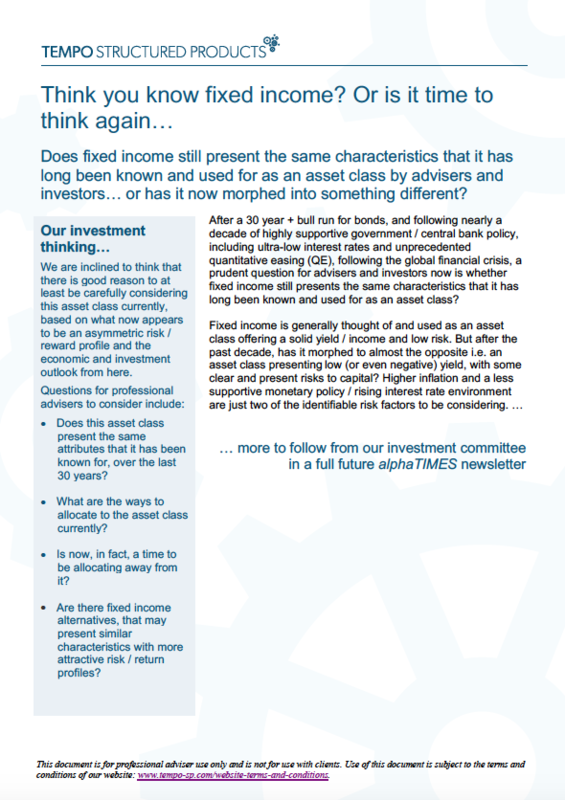 We have engaged knowledgeable and thought-provoking individuals – such as Financial Times, MoneyWeek and Investment Week columnist David Stevenson, and well-known asset management veteran Graham Bentley – to provide editorial input, and contribute to our investment thinking, and help us consider professional advisers’ and investors’ interests. 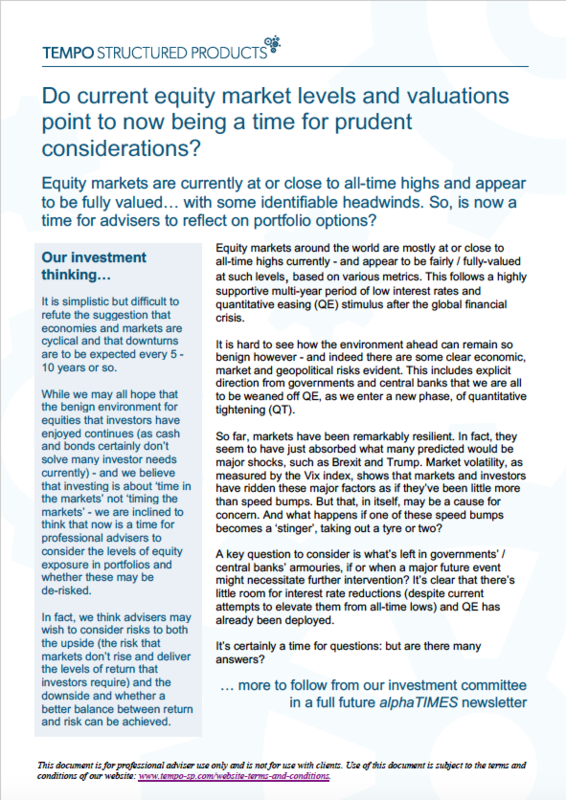 Currently, we can sum up our investment thinking quite succinctly. 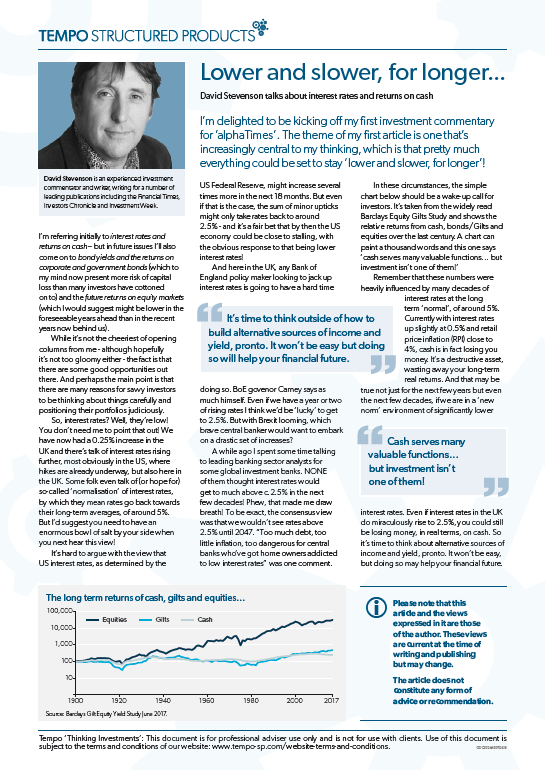 From where we are now, we think we could be in for an extended era of ‘everything lower and slower, for longer’, and that it may be harder to achieve the same level of returns in the years ahead as has been seen in the years now behind us, following the financial crisis. 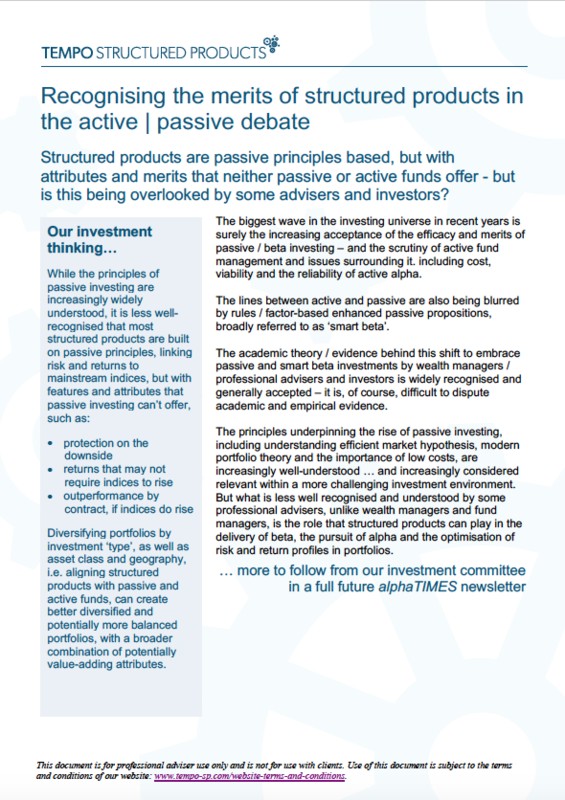 Within this environment, we think that identifying investment products that offer the potential for solid levels of return without unwanted – and potentially unnecessary – levels of risk may prove to be increasingly challenging for professional advisers and their clients… which is where we aim to add value. 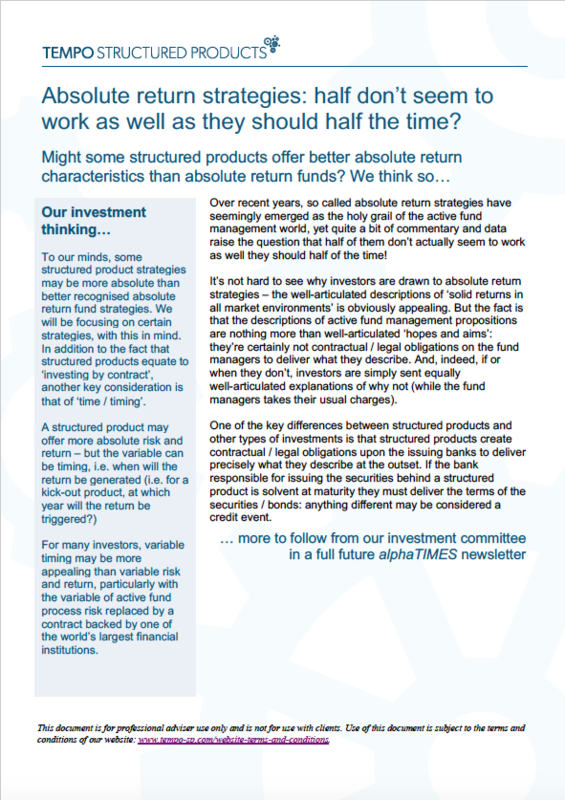 We are pleased to share our investment thinking with professional advisers, which we do via various articles and our regular newsletter. We also offer a ‘white-labelled’ newsletter service that professional advisers can use with their clients, that David and Graham contribute to. To see some of our thematic thinking, click below. We offer the opportunity to create bespoke product solutions for your clients. Click here to find out more.